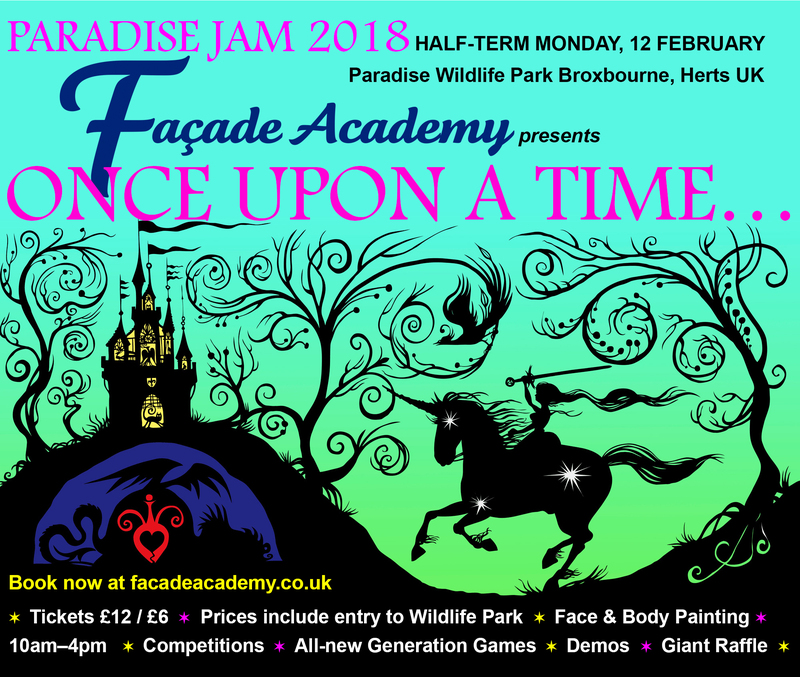 Much excitement here at Façade Academy as we launch the next Paradise Jam – 2018. The theme this year is Once Upon a Time… suggested by clever Helen Goodinson, who wins a pair of tickets to the jam. Watch this space for more details closer the time! Please click on this this Eventbrite link to book your tickets. Where have the summer holidays gone? Is it my imagination or are they shrinking? As well as being the Bank Holiday weekend, for most of us this weekend (26-28 Aug) will be the last one before school goes back. 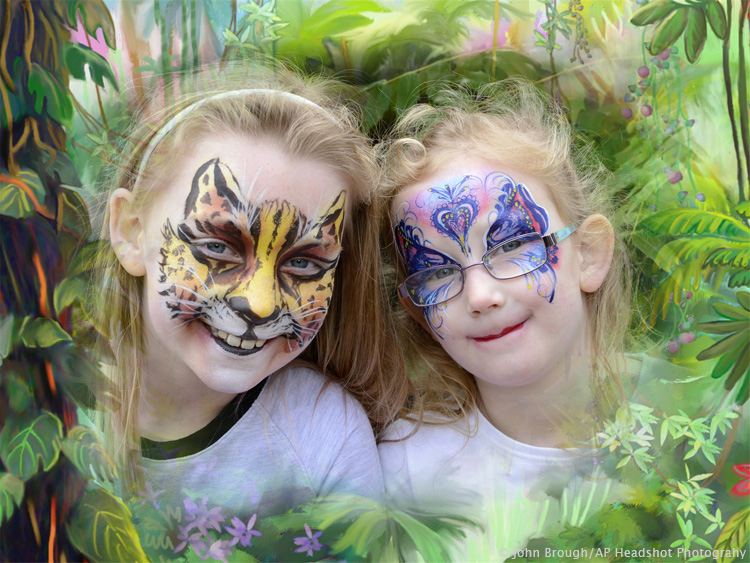 So why not come and see us at the Face Painting cabin at Paradise Wildlife Park in Broxbourne, Herts, and go a bit wild. 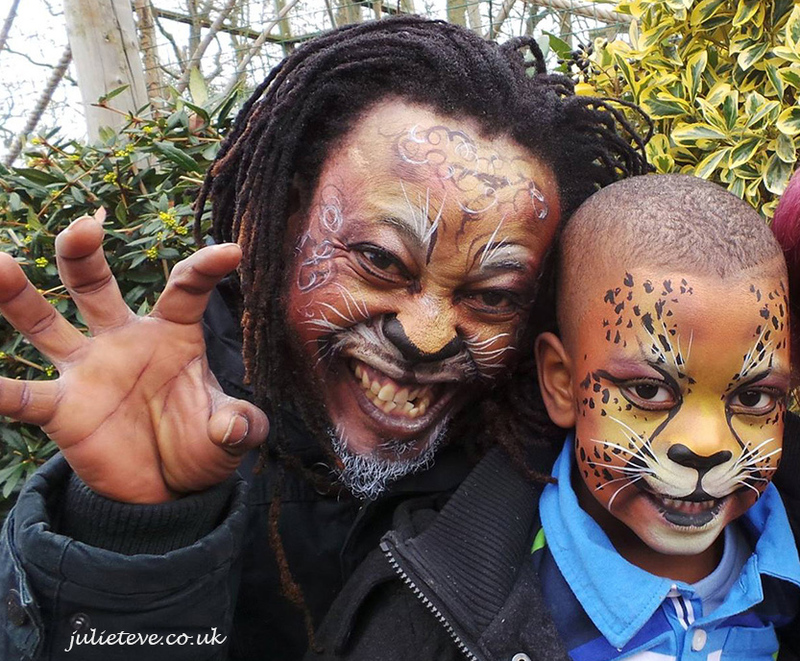 Take your inspiration from the animals and let us transform you in to a silver leopard, lion king, tiger, butterfly or bird. 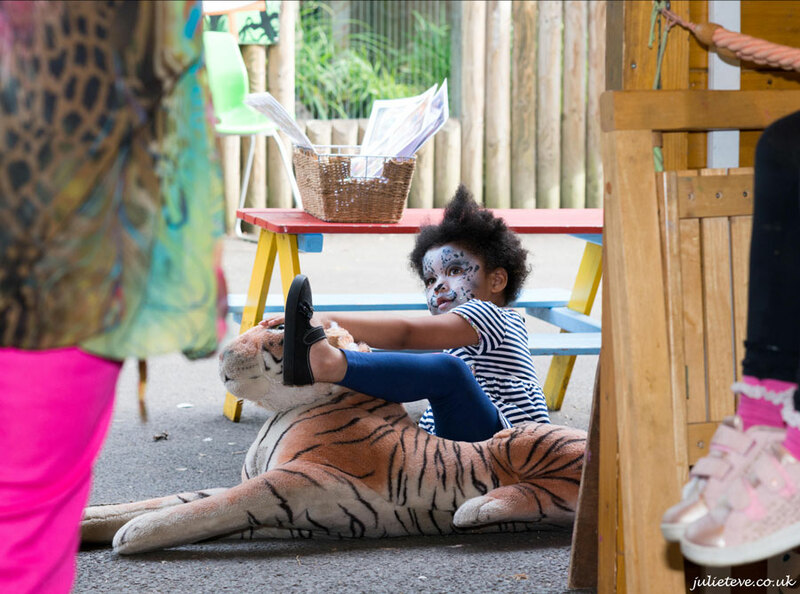 We’re opposite the lemurs, from 11am every day – see you there! As Principal of Façade Academy of Face and Body Painting, I’m thrilled to invite you to come and be part of the country’s biggest annual face and body painting gathering! Paradise Jam 2017 is happening on half-term Monday, 13 February (10-4). 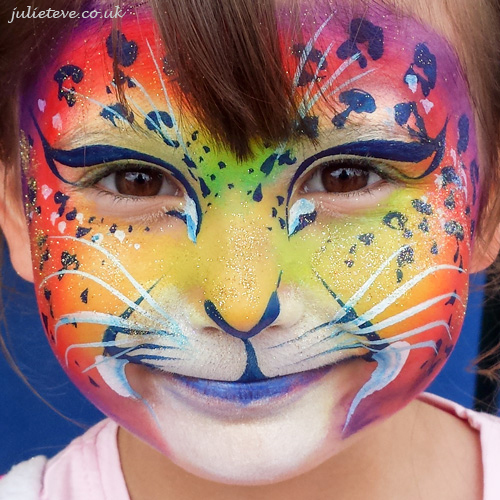 Bring your paints and Join the hundreds of painters, their friends and families in the big, heated marquee at Paradise Wildlife Park, Broxbourne, Herts. This year’s theme is Peace and Love … and the soundtrack is the Sixties and Seventies! 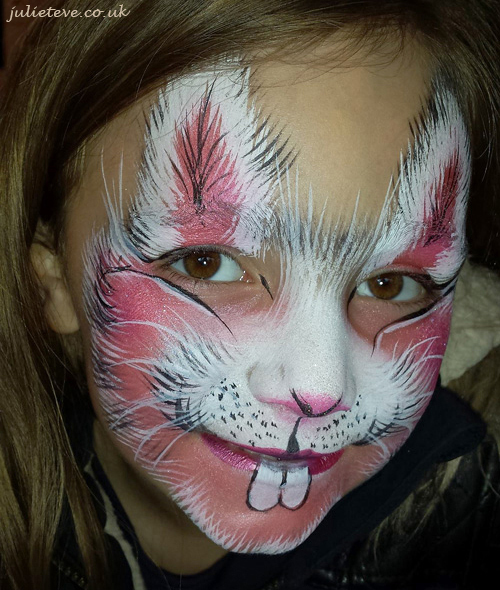 • Competitions for face and body painting at junior, novice and open levels; plus freehand glitter art events. 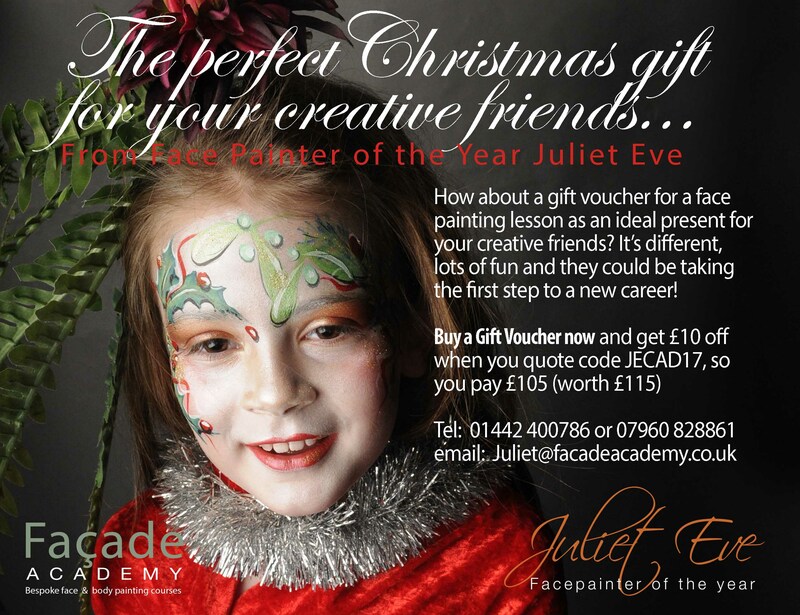 Prizes include places on Façade Academy courses (facadeacademy.co.uk). • Demos of techniques by top painters and artists, including airbrush make-up, face painting, body art, prosthetics, nail art, mehndi henna decoration, pregnant ‘bump’ painting, festival faces and grown-up party eyes. • Stands of merchandise, so painters can stock up on essential paints, glitter, balloons, tables and chairs. 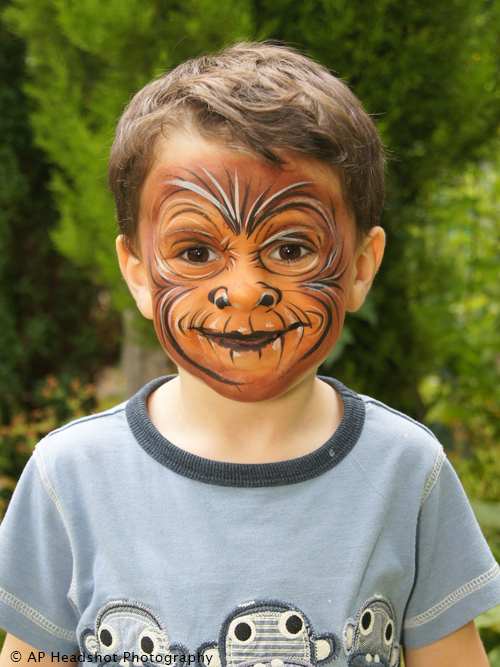 • FACE, the International Face Painting Association. • A fabulous children’s entertainer. • Giant raffle with fantastic prizes. • A photographer will be making prints on the spot throughout the day. • The public will be visiting from midday for painting. Check out our Facebook group and Paradise Wildlife Park for directions to the Jam! 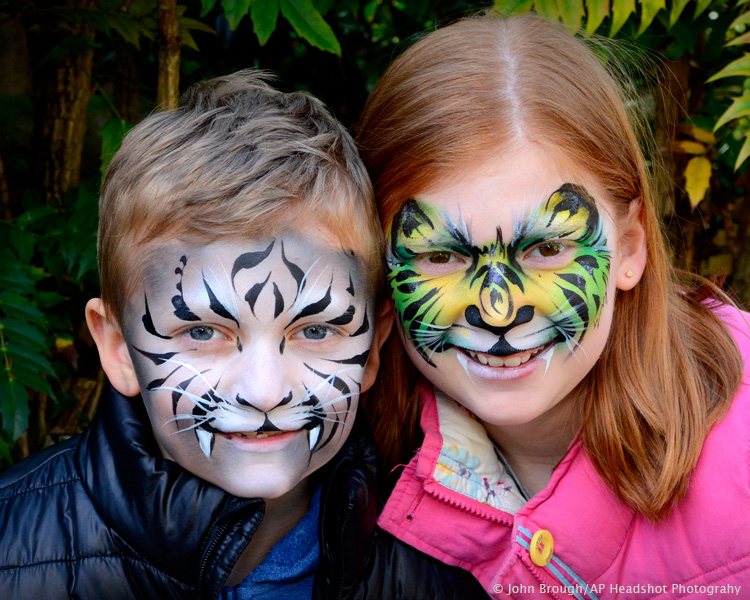 It’s only a matter of days now before school’s out for the summer, so I’ve been busy lining up a top team of face-painters at Paradise Wildlife Park for the holidays. Nams, Philly, Kate, Zoe, Heather, Brierley and Linda will all be taking turns to paint with me over the next couple of months, each one bringing their own style and expertise. So do remember to bring your loyalty card if you’ve got one, and to ask for one if you haven’t. Eight signed boxes earn you a free face-paint!